The first Technology and Society Forum of 2017 will focus on a major threat to public health and the ecosystem — contamination in various bodies of water in New Jersey and elsewhere in the nation. Most of this contamination is attributable to the lack of knowledge and poor environmental practices prevalent during a good part of the 20th century. But so-called “emerging contaminants,” among them pharmaceuticals and personal-care products, today present a new and very significant concern. Because most of these compounds are not covered by regulations, safe concentrations in water have yet to be determined. 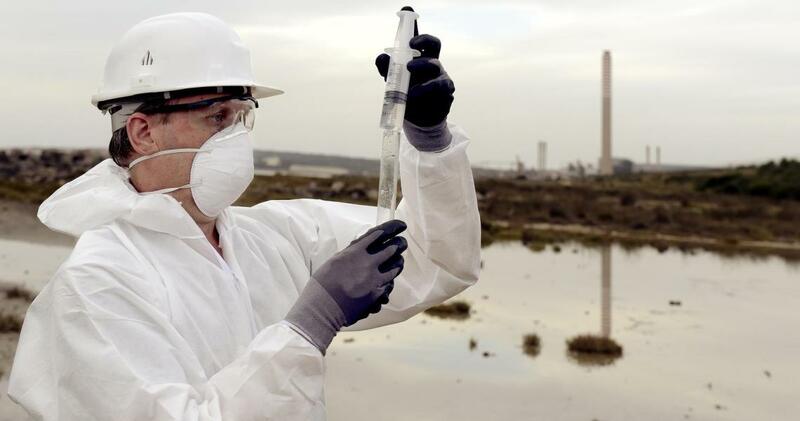 On January 25, join a panel of prominent experts who will share their first-hand experience working at contaminated sites using state-of-the-art characterization and remediation technology. They will also address the challenges of emerging contaminants and developing strategies for sustainable removal. The panel will be moderated by Professor Michel Boufadel. Professor Lisa Axe chairs NJIT’s Otto H. York Department of Chemical, Biological and Pharmaceutical Engineering. A key focus of her research is understanding emerging contaminants and contaminant mobility and bioavailability. Her work has been funded by the National Science Foundation and major firms such as Suez and Chemours (DuPont). A DuPont Young Professor Grant has supported her investigation of adsorption competition mechanisms. Distinguished Professor Lee Slater, Rutgers University—Newark, is internationally recognized for applying geophysical methods to hydrogeological problems. Funded by the U.S. Department of Energy, his recent work has focused on high-resolution geophysical imaging to improve remediation efforts targeting chlorinated solvents. He has also served the geophysical community in positions such as chairing the Near Surface Geophysics Focus Group of the American Geophysical Union, as president of the Environmental and Engineering Geophysical Society, and associate editor of Water Resources Research. Professor Jay Meegoda, a member of NJIT’s Department of Civil and Environmental Engineering, has worked with state and local governments in the U.S. as well as foreign governments to apply innovative science and technology to real-world environmental problems. The author of more than 200 papers, he has received substantial funding from groups that include the National Science Foundation, the U.S. Environmental Protection Agency, the New Jersey Department of Environmental Protection, the New Jersey Department of Transportation and the U.S. Army. This public forum qualifies attendees for Professional Development Hours. NJIT welcomes attendees from the professions and from all area colleges and universities.